Lorenzo Bini almost drowned the first time he stepped into the Pacific, years later he had earned the title of PADI master and has been taking people out to sea ever since. I grew up in north-central Italy, far from sea, in a place that was so flat that if your dog ran away you could still see it a week later. Until 1993, when I first visited Puerto Escondido, the only sea I knew was the Mediterranean, which most times resembles a placid lake. Nothing in my life had prepared me for the majesty of the Pacific Ocean. Like many 20-year-olds who arrive from Europe, immediately I ran into the water. I was rescued a few minutes later by a surfer, when I was caught between the waves. Despite that unpleasant first experience, I felt such an attraction for the Oaxaca coast that I decided to leave my country and settle in this angle of the world. The locals call it the “vibe” of Puerto Escondido. It’s a virus that sticks to the soul and turns you into an addict of Puerto. 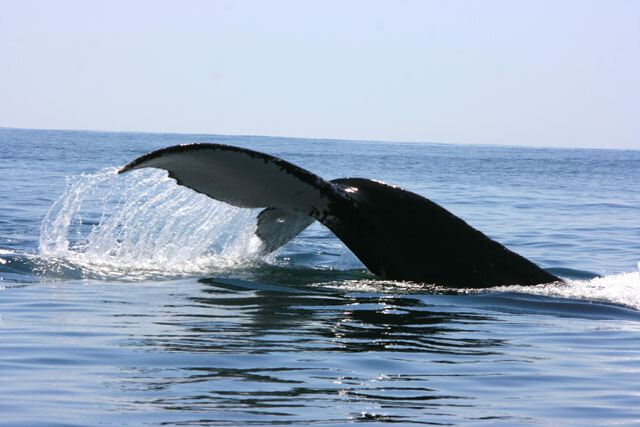 Another life changing moment: a day in December, 1998, while watching the sunset, still ignorant of all the things the Pacific offers, I suddenly saw a humpback whale jump almost completely out of the water, only a few hundred meters from the beach. 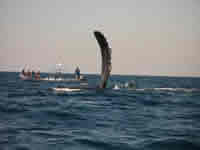 The whale kept leaping for almost half an hour, as if putting on a show for the tourists. After that I kept having quasi-mystical experiences involving the sea. I’d go to the Playa Marinero every morning to watch the fishermen return with their catch of tuna, sailfish, marlin, mahi mahi, and (sadly) shark. Inevitably, I went out to fish. We left at daybreak when the wind from the mountains blows on the water and the birds fly into the surf in search of food. The turtles rise to the surface to warm themselves; dolphins swim along the launch as if they were running a race to see who could go faster, and then the frenzy of activity when we encountered a school of fish. The sound of the line when the fish bites the hook, the leaps of the sail fish, the colors of the mahi mahi, the strength of the tuna, the anger of the marlin - all this is still fresh in my mind. My first diving experience came shortly after, and then I knew what my life’s work would be. A year and a half after that dive, I had earned my PADI (Professional Association of Diving Instructors) certificate and started Deep Blue Dive on Playa Zicatela, in the Hotel Ines. After all these years of taking people out to dive or on tours in launches, I am still in awe of the Pacific. 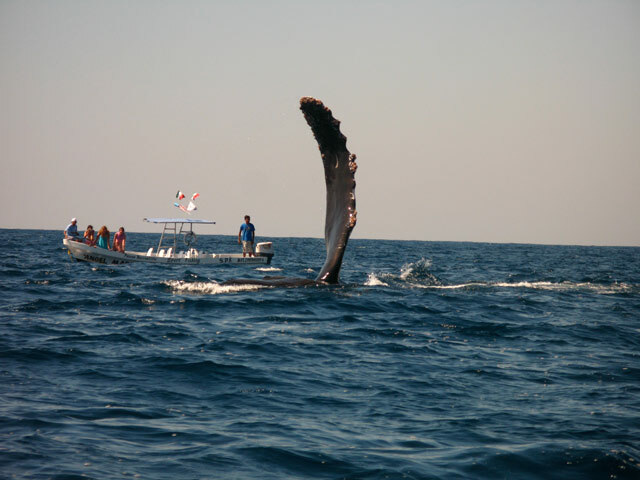 There is no experience like that of diving or swimming with the biggest animals of the sea - of interacting with sharks, whales and giant manta rays and of observing the changes of the seasons by the arrival of the white bellied dolphins with their crazy races. I’ve learned to identify the different kinds of sea horses hidden in the coral reefs and a myriad of underwater flora and fauna. There is no greater satisfaction for me than sharing the experience of the ocean with the people I take out on trips with me. Some of whom may even be caught by the Puerto vibe.